Solved examples from mechanics kinematics. Kinematics, which is field of mechanics, treats about influences between bodies which are moving. Kinematics does not care about what was a cause of motion or why something stopped to move. Kinematics describes through maths language effects of motion like passed road, velocity, acceleration, jerk and others. Material point falls free from height h. We assume that there is no air resist (friction between air and material point). We assume that fall takes place in ideal vacuum. It will be used the principle of energy conservation. In example energy from gravity field which material point possesses at height h will change into kinetic energy at the end of fall. Material point is thrown horizontally with starting velocity v0. Vector of velocity v0 is parallel to ground plane. Gravity field works on material point. 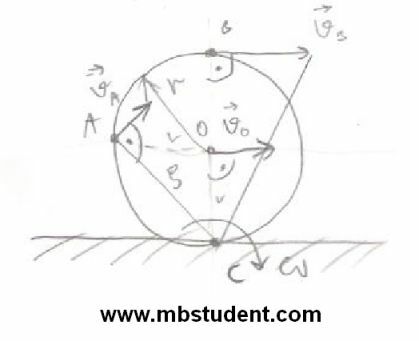 Gravity field acceleration is marked g. Vector of gravity acceleration g is perpendicular to ground plane. Motion of point is divided to two components. First component of move is uniform motion which is parallel to ground plane. Second move is accelerated motion which is perpendicular to ground plane. We assume that motion takes place in vacuum. At the end of motion material point collides with ground. 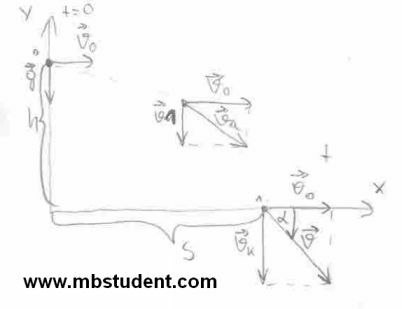 At the time of collision material point has end velocity v. Between end velocity and ground plane is angle α=π/4. At moment of collision no heat is released. 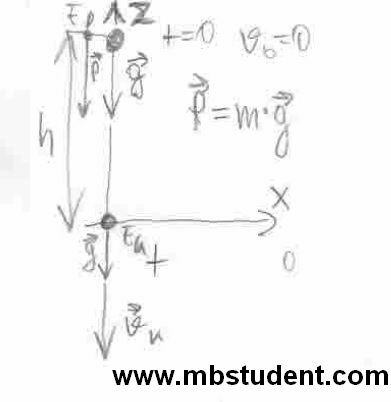 Equation of trajectory is calculated in example. Material point is thrown with velocity v0. Between ground plane and vector of velocity v0 is angle α. Material point is inside gravity field described by gravity acceleration g. Vector of gravity acceleration g is perpendicular to ground plane. We assume that move takes place in vacuum. It means that there is no air resist. Subject of example is to find equation of trajectory and value of angle which will provide maximal range of throw. On circular plate are marked points A and B. Center of the plate is moving with constant velocity v0. Plate is rolling on ground. Between plate and ground there is no friction. 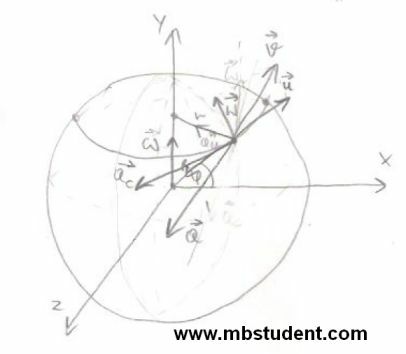 In example we will use method of temporary rotational motion to calculate velocities of points A and B. Relative motion under classical mechanics theory. Car is riding on Earth in direction from equator to north pole. Road of car’s movement is parallel to meridian. As we know Earth rotates with period of 24 hours. Earth also travels around the Sun with period 365 days and 6 hours on trajectory which is eclipse. Subject of example is to calculate absolute velocity of car. Absolute velocity has components. First component is tied with car’s move on Earth. Second component is tied with Earth’s rotary motion. As we know Earth is not ideal orb. In this example we will treat Earth as an ideal orb. Earth also executes precession movement. In this example we will omit precession movement.